From Amazon: 1952 – a small Kentish village seemingly little affected by the war years. 11-year-old Josie, dumb from birth and who communicates through her writing, is on the verge of puberty and life in the wider world. It is a time of childhood innocence. She and her twin brother, Mitch, are thrilled when an American teacher arrives at their village school, suspecting him of being their long-lost father. Together with their two best friends they set about collecting evidence for their suspicions but soon find themselves embroiled in deeper, darker secrets which land Josie in a life-threatening situation. As childhood recedes and mature thought begins to surface, Josie, who tells the tale, realises that she is not the only one who has been unable to speak. The first person narrative works for this short story, as the mute character guides the reader, and shares her frustrations and desires. 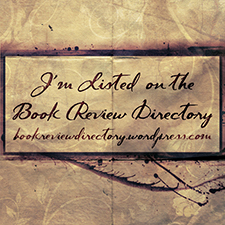 The story was evenly-paced in the beginning, and well written. The language and slang felt very authentic for the era but I must admit that I was skeptical about the precociousness of the children. They seemed to know a lot about a lot in a time when information was not freely accessible, and in an area rather remote to the rest of England. There is much to be said for what children pick up and glean from parents and grandparents but at times, I felt like these kids were a little too well-informed for their ages. I might be reading into it too much, but it didn’t affect my enjoyment of the story overall, this more of an observation. He leapt backwards and sort of spat out a loud exclamation. I presumed it was a swear word but I couldn’t be certain because it was in another language and I was almost sure that that language was German. (Page 38). I enjoyed the individual characters very much, and each of the children involved in the story were well-rounded players. They each has separate voices, even Josie. I enjoyed the interactions between the children, those felt very realistic and plausible. If I am honest, the story wasn’t particularly sophisticated, or difficult to figure out. I worry that readers will be disappointed with the story for its $3.44 price tag. The narrative seems almost juvenile, and feels a lot like an Enid Blyton Famous Five sleuth story, rather than a book for adults. Further, I expected more high drama/action from the story but the “life-threatening situation”, mentioned in the blurb, is over very quickly, and is advertised to the reader from a mile away. Josie’s mutism is seemingly easily overcome within her friends circle and family interactions, so there isn’t much lost in translation and interpretation. She is well understood and listened to by everyone important to her, she in not dismissed by her peers or parent (or grandparents) just because she is mute. The story felt very rushed towards the end, and the way in which the plot strands were neatly ties up seemed rather trite. I think a slightly lengthier novel, with fleshed out situational events would make for an intriguing story but this one was lacking something for me. 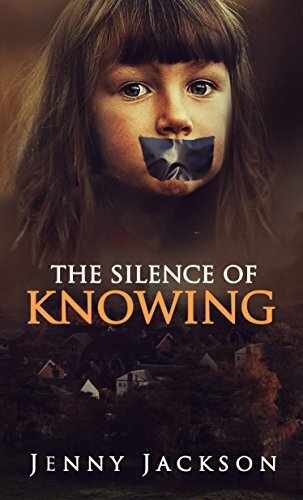 The Silence of Knowing is available on Amazon.